The National Homeschool Football Championship Series (NHFCS) is pleased to announce the player selected as the National Player of the Week - Division Two for the third week of the 2013 Season! National Player of the Week - Division Two honors for the week of September 20th, 2013 goes to Junior Quarterback #8 Chase Bryant, of the HSAA Blue Angels, of Dallas, TX. Chase and the Angels defeated Coram Deolast weekend, 40-7. Chase put up massive passing numbers and sealed the win with 5 touchdowns. His last 2 games earned him an averaged 140 QB rating. Thanks to Chase, the Blue Angels of Dallas HSAA have rebounded their season with ferocity. The win was Cole's best performance of the season. The previous weekend he put up even more passing yards and a QB rating of 141 against the defending NHFCS Division 2 runner-up, Tomball Warriors. Shadd also added to his impact with ample time as a defensive back. 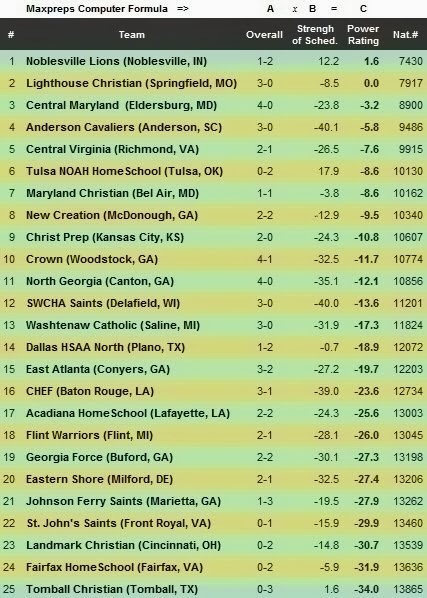 The first rankings of the football season are being prepared for Division 2 homeschool teams. These numbers are being posted even while coaches are entering final numbers for the past weekend's games. These numbers will be locked within the next 24 hours for the week. Maxpreps waited until they had 3 games tabulated for the entire nation's prep football teams, before posting. This was to assure accuracy and full inclusion by states who mandated that intervarsity play starts after Labor Day. While Stephenville and Tomball dominated division 2 for the past couple years, this year will see many new teams in the hunt for the national title. Texas Homeschool football continues it's rich tradition of 6-man, but California has a vibrant league of 8-man developing. Florida has a unique brand of 7-man in which homeschool teams are very competitive. Much of the rest of the nation seems to have settled on 8-man as the preferred small school format. We will be following division 2 very closely this week and throughout the rest of the season. We have now reached the crucial 3rd week of the national prep football calendar. At this point most every state has seen 3 weeks of varsity football. Some states (like Kentucky & Tennessee) have had intervarsity action since August 1st, but for national rankings Maxpreps' Freeman Computer Scoring needed 3 games worth of stats to establish a true and stable process of scoring teams. What we've seen over the past month is a hybrid blend, starting with a preseason scoring (which relies on analyzing returning rosters and the influence of last year's ending score) plus what little stats were entered early this season. So, starting this Tuesday, we will see rankings based solely on this year's performances. As the season progresses, we will continually see fine tuning and movement will likely continue in 'baby steps', compared to some of the radical adjustments some of the teams have recently been subjected to. Many teams are currently starting work on scheduling next year's games. Careful attention needs to be given to getting appropriate competition, so that your team has ample opportunity to be recognized for your full capabilities. For some that may mean limiting some matches with teams who fail to bring a challenging game. It may require some bigger travel concessions in order to fill out a competitive schedule. Some homeschool teams have developed leagues and rivalries which have sentimental and social connections. But developing your student athletes should be a top priority. If you don't bring out your team's best efforts and push them further than they would venture on their own, you may be selling them short? One more matter needs to be announced. Four homeschool football teams were dropped last week because they failed to report games to Maxpreps. This weekend they resumed their reporting and We reinstated them provisionally. They will not remain in the rankings list near the end of the season unless they continue to have reported their games properly. Some teams are trying to figure out why they don't have a better power rating despite their undefeated season. Pay attention to the Strength of Schedule. Notice that Tulsa NOAH has the strongest schedule, and despite their winless season, they played only the tougher teams in the nation. Washtenaw Catholic, on the other hand, plays in a very weak league and despite being undefeated, Freeman Scoring computers sees all their opponents as very weak. 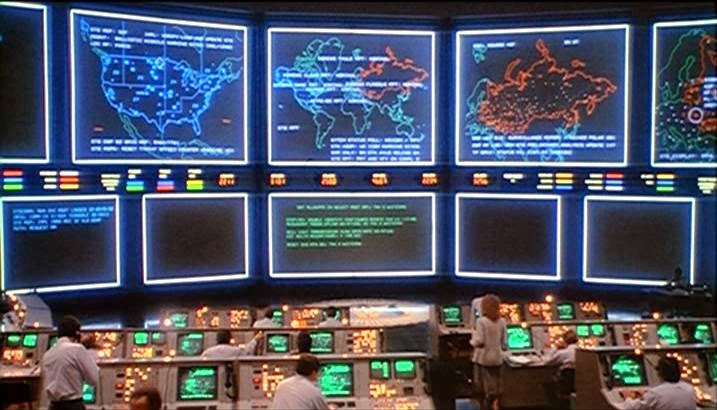 The most important thing to understand about how our computer power ratings system works is that it is 100% objective. The size of the schools, their division, the league they're in, how good the school* or league are historically, their geographic location, how well liked the school is, how good the league is in other sports-- none of these things are programmed into the system. None of them are there to bias it the way that they inevitably bias humans saddled with the daunting task of trying to figure who belongs in post-season play. Rather, they are just a bunch of teams with a bunch of results. Cold, hard, and unfeeling, yes...but as accurate, objective and fair as is possible. We will start explaining how the ratings work when margin of victory is used as a factor. It is much easier to explain that way. When margins are used, the differences in ratings between two teams is roughly a measure of how many points better one team is than another. An 80 should beat a 60 by 20, etc. Assume the following starting ratings. Don't worry about how they got to this point for now- that will be explained in a minute. Team A's rating is 10. Team B's rating is 0. Team C's rating is -5. Team D's rating is -8. Team E's rating is -10. The way our program works is as follows. It systematically sorts through all the results for the season (season-to-date results if we're dealing with an in-progress season). It takes each result and compares it to what "should" have happened given the ratings of the teams. It knows that if A played C, A should have handled them fairly easily. If A lost that game, or even squeaked by with a narrow victory, its rating is hurt, while C's is helped. 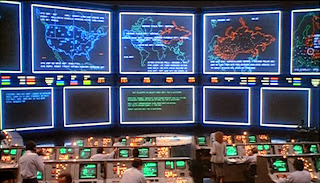 The system keeps checking through all the results for every team. Sticking with team A though, let's say they also played D and won by 15 (that's about what they should have done- no real impact on either teams' rating there), demolished team B by 22 (which definitely helps their rating), and beat D by 10 (not doing quite as well as could have been expected- another "ding" against their rating.) When all is said and done, it takes the aggregate of how much better or worse they did than expected in all their games, divides that by the number of games played, and adjusts their rating accordingly. For example, if they averaged performing two points worse than expected, their rating drops from a 10 to an 8. (Please note: this is definitely over-simplified; it isn't this straight-forward-mathematical. Points aren't everything by any means- the win or the loss is always the most important thing, even when margins are used. There is a "diminishing returns" principle at play so as to not fully credit a team for blowing out a weak opponent. In addition to the cutoff point past which margins are not counted, there is a "win minimum" as well a maximum-- a number which no win is credited as being below...because, of course, a one point win isn't just barely better than a one point loss. Far from it.) All teams are adjusted similarly, and then we start over from the beginning with the new ratings- A is now an 8 and expected to perform accordingly, etc. This is done repeatedly until their is no longer any movement in the ratings, and they settle in where they "should" be. Remember when we asked you to hold that thought on how they got to the point they started at? They didn't start there actually. All teams start at 0. There is no bias at all- last year's stats or pre-season projections are not used as a starting point (again, see the one exception above). Everybody starts at 0 and the ratings run continuously until the movement stops. Its just much harder to conceptualize that way (and you thought this way was hard! )- that's why we started the example off with the teams already having ratings. When run without margins, the process is the same, but, of course, the margin of victory is not considered. A win is a win, and all wins are counted at the same level. Therefore, the examples of getting your rating "dinged" because of a closer-than-expected win do not apply. All that matters is the win (and who you played). A couple of things are fairly clear. Team A is obviously having the strongest season thus far, while Team F certainly belongs at the bottom of the list. With a casual glance, you may not be able to decide which 2-1 team should be rated higher, and likewise with the 1-2 teams. A closer look would likely convince you that, of the 2-1 teams, C should be rated above B. B's wins came at the hands of the 0-3 team, while C's wins were against stronger competition. Likewise, B's loss was against a weaker opponent than C's loss, as C lost to the top team (A). Regarding the 1-2 teams, they have identical losses, but E's win came against a stronger opponent (D beat the 0-3 team). So, E should be rated slightly higher than D.
Not suprisingly, when our system runs through this exact data, the actual ratings do in fact place C above B and E above D.
One thing you may not have seen coming, however, is that B is actually rated below the 1-2 teams as well. Again, a close inspection of Team B's early-season results reveal that their two wins were against the lowest rated team (and thus aren't all that impressive), and their loss was to one of the 1-2 teams. In other words, looking at their W-L record alone (2-1) greatly overstates how well they have done. The 1-2 teams, particularly Team E, have had better seasons thus far. Team E, for example, had the win over B, and their losses were to highly rated teams. This suggests that, at this early point in the season, without further data to go on, E should be placed above B despite E's inferior W-L record. Rest assured, the process is many times more accurate than the over-simplified points systems that many sections/states are trying as an alternative to the subjectivity of the human process. Systems where, for example, 3 points are given for a win against a large school, 2 points for a win against a medium-sized school, etc. simply can't compare with what we're doing here. Before continuing on, take a moment to analyze the data in the chart and think about which order you believe the teams should be placed in. MaxPreps National and State Freeman Ratings are the result of our collection of enormous amounts of information from teams throughout the country and the application of a computer model developed by Maxpreps associate Ned Freeman. The most important thing to understand about how the ratings system works is that it is 100% objective. 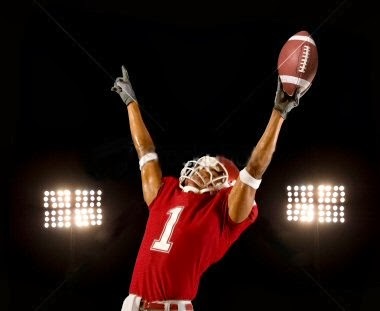 The size of the schools, their division, the league they're in, how good the school or league are historically, their geographic location, how well liked the school is, how good the league is in other sports do not matter and therefore, none of these factors are programmed into the system. Those subjective factors inevitably bias humans saddled with the daunting task of trying to figure out who the best teams in the nation, in a state, or a region really are? Instead, Ned's system just takes into account the facts. Cold, hard, and unfeeling fact - but as accurate, objective and fair as possible. The system utilizes the huge number of game results stored in the MaxPreps database. Generally, the more a team wins the higher the ranking, but the system takes into account quality wins (against other highly ranked opponents) and strength of schedule. For example, a team's ranking is hurt more by losing to a team that is ranked below them versus a team ranked ahead. Other factors that will affect the rankings are times when MaxPreps has incomplete or inaccurate information. Maxpreps will correct errors when they are reported to us. If Maxpreps is missing a score, report it to them on the team's MaxPreps page. If they are missing a game on the schedule, send Maxpreps a correction request. Generally, the more games that are played the more accurate the rankings, so if a team that you perceive as being very strong has played substantially fewer games than other ranked teams it may reflect the fact that Maxpreps has less data to work with. Playoff games are weighed 2.1 times what a regular season game is. Movement indicates the up or down movement within the rankings when compared to Maxprep's previously published rankings. MaxPreps football rankings are updated once a week, other sports will be updated three times a week during the sport season. The National Homeschool Football Championship Series (NHFCS) is pleased to announce the player selected as the National Player of the Week - Division Two for the second week of the 2013 Season! 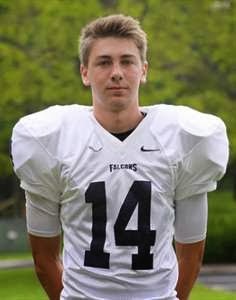 National Player of the Week - Division Two honors for the week of September 13th, 2013 goes to Junior Quarterback #14 KC Jorgensen, of the Franklin Christian Academy Falcons (Franklin, TN). Jorgensen & the Falcons grabbed a hold of the Middle Tennessee Heat (Mt. Juliet, TN)and never let go. In a close to 400 yard performance, Jorgensen went 16 of 23 for 370 total yards, the longest of which took his reciever "coast to coast" for 84 Yards. While the seven TD's through the air were impressive in their own right, the handful of times the Junior carried the ball, his play was electric. In only 4 touches, KC went for 190 yards with a long of 80 and rumbled into the Endzone twice... giving him nine total TD's for the game! Thanks to Jorgensen, the game was dominated from the start and when the final horn sounded, the Falcons hung 94 on the Heat... who managed only 16 total points in the lop-sided affair. As their season starts earlier in Tennesseethan the average national schedule, the victory was FCA's fifth of the year with a season record of 5-1. The Falcons are currently are currently ranked 5th in the 8-man Class of the Tennessee Secondary School Athletic Association (TSSAA). The National Homeschool Football Championship Series (NHFCS) is pleased to announce the player selected as the National Player of the Week - Division One for the second week of the 2013 Season! 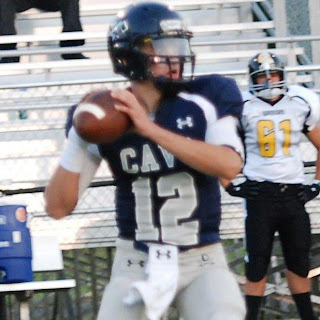 National Player of the Week - Division One honors for the week of September 13th, 2013 goes to Sophomore Quarterback #12 Davis Cousar, Co-Captain of the Anderson High Cavaliers' (Anderson, SC). Cousar showed leadership, talent and skill well beyond his years while leading the Cavs’ to a blowout 84-0 victory over the Augusta High Eagles (Augusta, GA), the nation’s most dominating performance so far this season. #12 kept it simple and stuck with what he did best, but did touch on the ground game with 4 carries for 13 yards. When it came to passing, the young QB owned the night. Nearly perfect, going 8 for 11 through the air covering 238 with his long of the game coming on a 38 yarder to fellow Co-Captain Senior Wide Receiver #17 Danny Waldsmith, the Senior’s sole reception of the night. Cousar lit up the Eagles for 4 more TD’s for a total of 5 on the night and with the help of 3 more rushing TD’s, Anderson blanked Augusta, the Cavs’ second shut-out of the season. The victory was the Cavs' third of the year and with it, Anderson broke into the Top 5 for the first time this season, moving up from #6 to #4 nationally and placed themselves firmly in control of their own destiny as the #1 team in the South Region! Congratulations to Davis & the Cavs’ for a commanding Week Two!! The race is tightening for the top position. While Northern region's Noblesville takes on some giants, Western region's Springfield continues to win. Both winning and taking on top teams can improve portions of the national computer polls, eventually a team needs to accomplish both. Eastern region leader, Central Maryland, continues to climb as they show their strongest season start in their history. Southern region upstart, Anderson, continues the amazing impact of a relatively new program. We are pleased to see all four regions of the nation competing for the top spots in our chart. The top four spots each belong to the leaders of their respective regional polls. The rankings list was cleared of non-qualifying teams this weekend. When a team's roster does not have a majority of home-educated athletes, we cannot continue to consider that team for the current year. 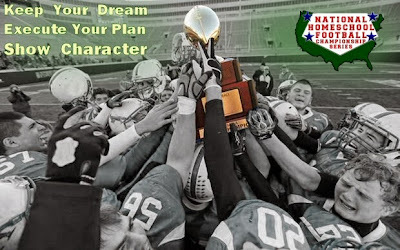 We value every team which allows a significant number of homeschool athletes. When a team is developed to reach out to athletes left out, we take note of that team and promote them to the families in that area. Next August we will again include the co-op teams in our preseason rankings.